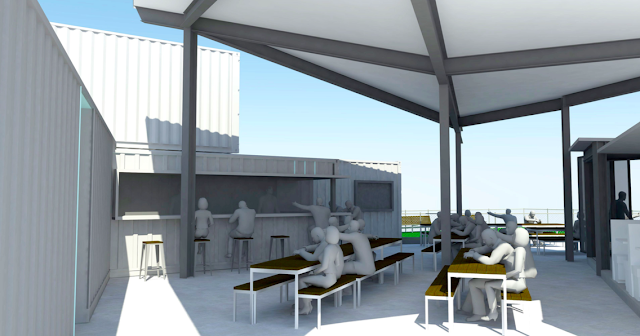 Modern American chef, restauranteur, and native San Diegan, Steve Brown, is returning to his hometown of Imperial Beach to launch a shipping container-built, 4,000 square foot, multi-level restaurant - The Shipping Yard - on the corner of Date Avenue & Seacoast Drive, mere steps from the ocean. 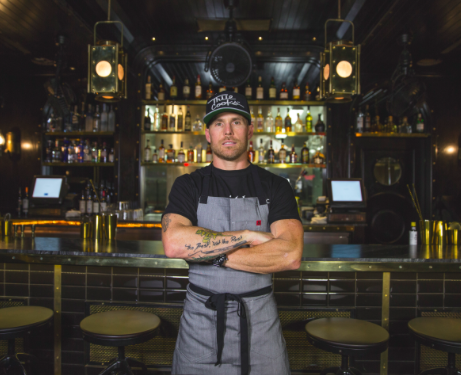 While his restaurant is under construction, Chef Brown has launched a series of multi-course meals and wine pairing pop-up events, under the name of "Cosecha", taking place from San Diego to Los Angeles, in addition to his catering company. Chef Brown started his culinary career in Garmisch, Germany, in 1999 at the age of 18 as a dishwasher in a hotel, falling in love with food and the chef-life. After two and half years in Europe, he returned to Los Angeles to attend Le Cordon Blue culinary school. Chef Brown has worked with many great Chefs like Chef Jake Rojas of Tallulah on Thame and Chef Marcel Vigneron of Wolf, and many great fine dining kitchens from Palm Springs to Los Angeles and San Diego. He was the head chef of Brockton Villa in La Jolla in 2006-2007. 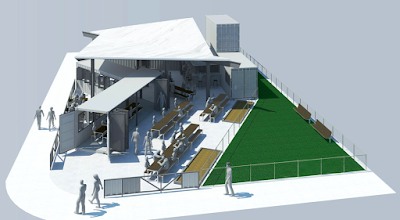 Chef Brown's Imperial Beach restaurant, The Shipping Yard - will be open-air, embracing the fast-casual beach atmosphere of the neighborhood and will include a bocce ball court, as well as a satellite tasting room for local brewery Ironfire Brewing. The eatery will serve modern comfort food paired with a local craft beer & cocktail program and is expected to open in Spring 2017. After launching The Shipping Yard at 35 Date Avenue in Imperial Beach, Chef Brown is considering launching other concepts, including a "public house" on Orange Avenue in Coronado. Cosecha at Wild Willow Farms - Leading up to the opening of his incoming Imperial Beach restaurant, Chef Steve Brown is doing a series of pop-up dinners at venues around Southern California, which he is calling it 'Cosecha,' meaning 'harvest' in Spanish. The menu will be “Farm Driven Modern American” with a Mexican influence. The latest installment will take place at Wild Willow Farms on August 27 and include a 5-course meal with wine pairings for $100. Chef Brown has also currently launched his special event catering company “Harvest”. For more information on Chef Steve Brown and his endeavors, visit chefstevebrown.com and check out more artistic renderings for The Shipping Yard below.